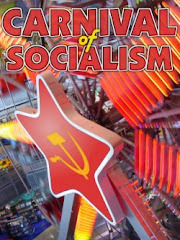 The 33rd Carnival of Socialism is out now over at Harpy Marx. A damn fine job it is too! is there gonna be another mayday special this year? Hi Rick - I've moved your date - looking forward to it already! I notice that the Christmas round up hasn't been filled yet - so I'd like to volunteer "Though Cowards Flinch" for the December 19th slot. Thank you very much for posting and sharing this article useful like. I always wanted to know some other information here.